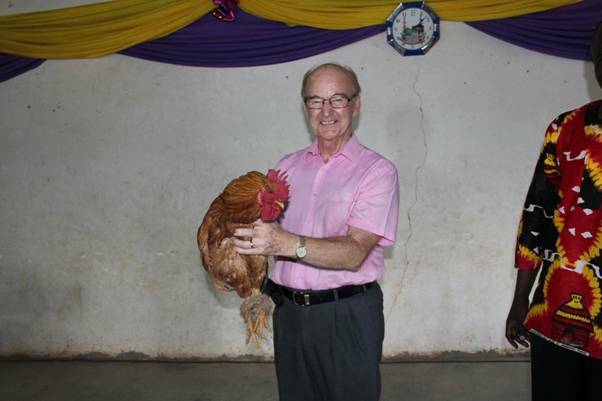 Abundant Life International Ministries (ALIM) under the leadership of Pastor Ernest Howie conducted their 64th and 65th leaders and Pastor’s conference in Mbale and Namaingo on 14th to 17th and 19th to 22nd September respectively. The conferences are intended to equip the church with knowledge that will enable them to be effective ministers of the gospel of our Lord and savior Jesus Christ. 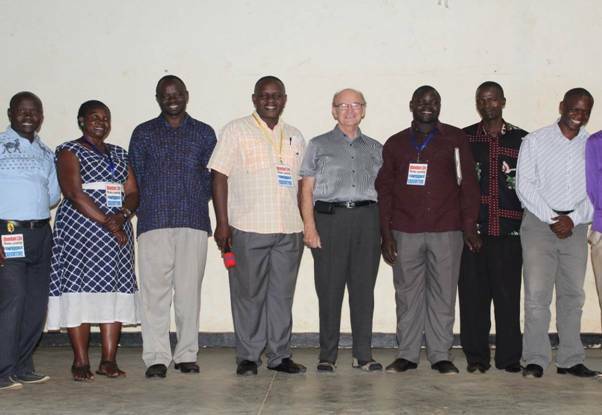 Pastor Ernest Howie posing for a photo with the organizing committee of the Mbale conference . TALIM in partnership with the pastors and elders fellowship in the Eastern towns of Mbale and Namaingo held a Pastors and leaders conference. 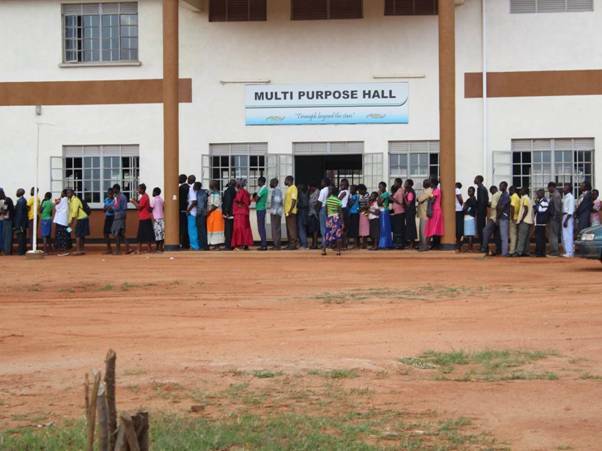 The conferences were held from the 14th to 17th Sept in Mbale and 19th to 22nd September 2016 in Namaingo with 550 Pastors and leaders in the former and 850 in the latter. The teachers of the word were Pastor Ernest Howie and John Faith Magolo. The intended objective of these conferences was to re-focus the Pastors and leaders to the word of God and to the Biblical principles that underpin these teachings as the ultimate foundation of the church. Hence walking in the fear of the Lord, walking in integrity, Baptism of the Holy Spirit, potential, How to get answers to prayers, Prayer, working and trusting, the power of Christianity, Community service, the whole armor of God, healing and communion. 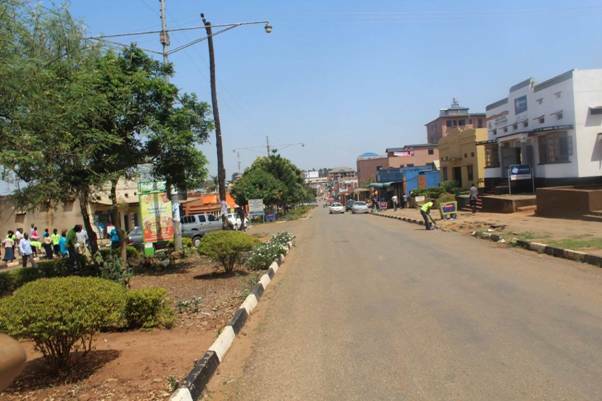 MBALE CONFERENCE The conference in Mbale coded “Papa Ernest Howie Home coming conference” started on the 16th of September with the cleaning of the town by the conference organizing committee and Christians from various churches. 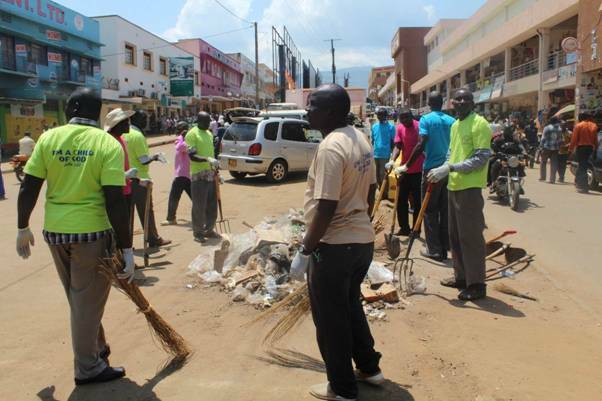 The cleaning of the town was highly embraced by the Mbale municipality authorities who also participated by providing brooms, gloves, hoes and a trucks for garbage collection. The town cleaning activity was a very effective conference advertisement tool as the cleaning made radio and television news in and around town as part of the activities of the conference. This is the 1st conference that ALIM is holding in Mbale after launching her ministry here in Uganda in 2006 in the same town, hence home coming conference. . 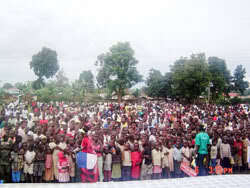 The conference in Mbale was held in Mbale Senior Secondary School where all facilities were provided under one setting. 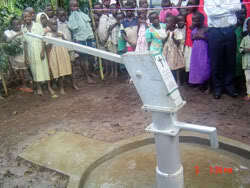 The services included a conference hall, accommodation cooking facilities among others. 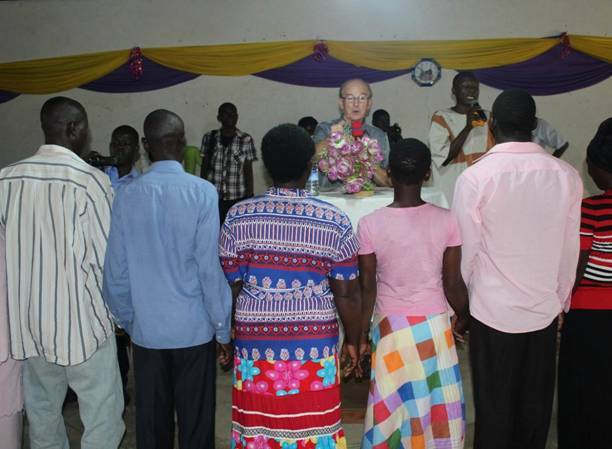 In Namaingo, the conference was held in Namaingo Pentecostal church hall. The teachings generated a lot of interest from the participants and this was exhibited in their response to the word. 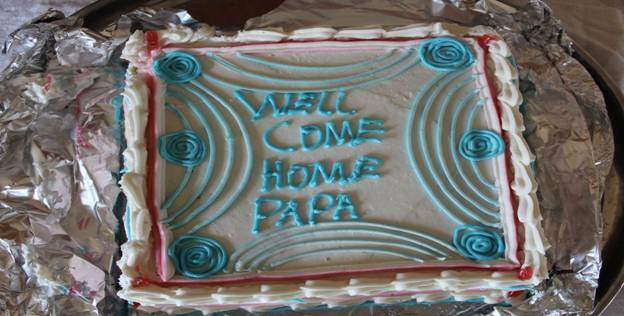 As a result of the teachings, over 400 participants were baptized in the Holy Spirit and hundreds participated in community work by delivering food parcels to communities, prisons and the hospital. The teaching on ministry and community challenged the participants to find a need in the community and meet it and in this way, they will be demonstrating the bible faith in more practical ways. In this way, the church will be relevant as it yields to people’s needs and looking out to encourage them. A healthy church serves the community through the week and Sunday is a day of fellowship and celebration. 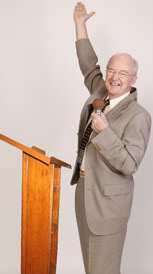 The teaching was based on the parable of the Good Samaritan as narrated by Jesus in the gospels. The participants were challenged by the word and on the last day of the conference they went to the hospital and prisons within the communities. Couples in Namaingo exchanging their marriage vows in the sight of God being officiated by Pastor Ernest Howie..
Communion, the fourth pillar of the early church (Acts 2:42) besides prayer, the word and fellowship was taught and carried. This sacrament signified the importance of the church as one with a single mission and purpose to bring glory to God in remembrance of what it cost Jesus to take away the sin nature of man in exchange for his divine nature. Thanks to the Almighty God who enabled the ALIM team to be true to the calling to equip the church with the truth of the Word of God. 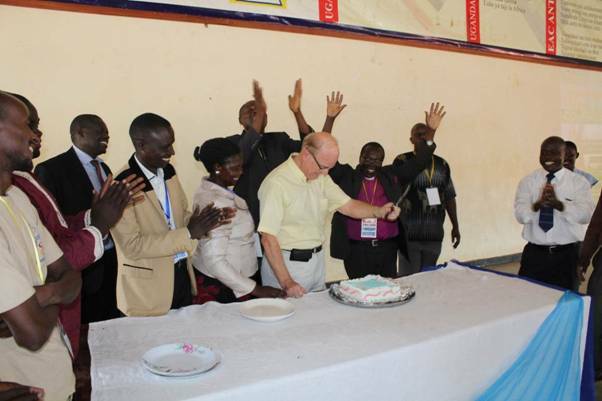 All gratitude is ascribed to the Almighty God for enabling Pastor Ernest Howie, John Faith Magolo and the team to make the conference a success along with the coordinating teams in Mbale and Namaingo.